Two Saturdays ago, we had dinner at Grilla Bar & Grill at Promenade, Greenhills. 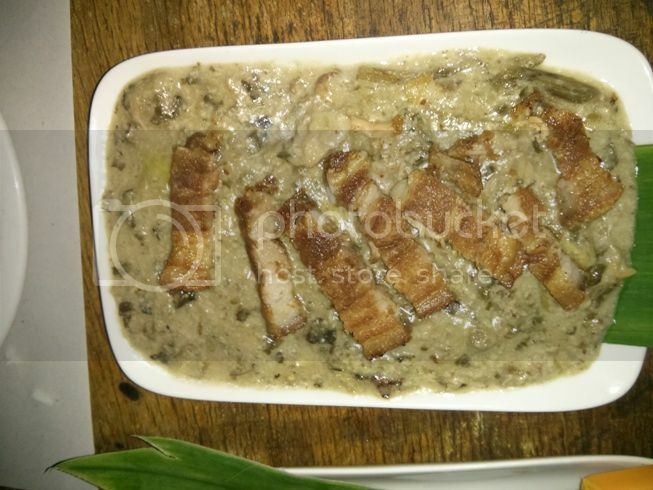 Our hearty fare consisted of Grilled Garlic Tuna Belly and Laing with Bagnet. It was a little dim inside, something that my damaged eyes found unfavorable, but this fact was soon forgotten when our food order arrived. The Grilled Garlic Tuna Belly was divine! Even our 7-year-old son enjoyed it that he ate more rice than usual that night. He had every reason to love it. The perfectly grilled tuna belly was tender, succulent and tasty. We wanted a vegetable dish to complement the Grilled Garlic Tuna Belly, and we chose Laing. However, when we saw on the menu that we could have Laing with Bagnet if we add Php150, we decided right away to order that. It’s a good thing that we followed our instinct because this was delicious. The Laing itself was seasoned right. Aside from taro (gabi) leaves, the Laing had small slices of gabi fruit, too, which I liked very much, and the Bagnet made it even more flavorful. I wished it was a bit spicier, though. Oh, yes, we had a satisfying dinner at Grilla Bar & Grill, and yes, we’ll surely drop by again. 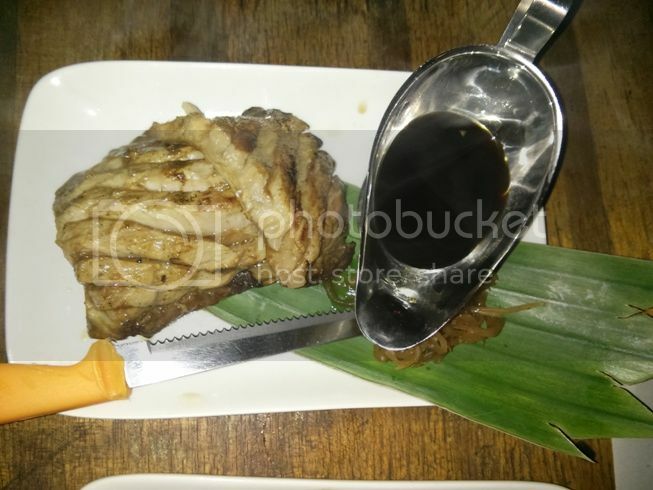 This entry was posted in Filipino Cuisine, Food Friday, Food Trip Friday, Grilla Bar & Grill. Bookmark the permalink. Uy, nag date kami jan ni hubby nung bf-gf pa lang kami! Di pa nga naulit! Hehehe.